Lil has pretended to be someone else, all for the chance to feel alive. 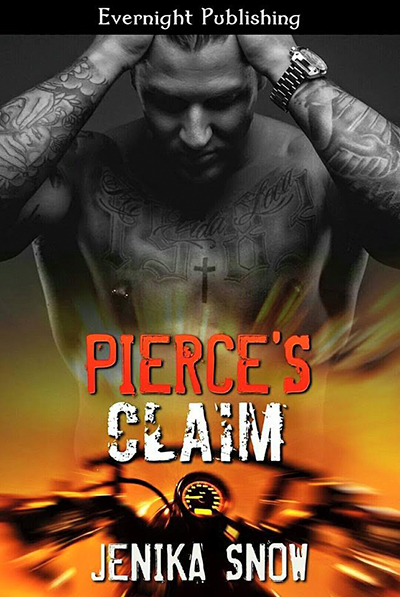 But then Pierce comes along, tatted up and pierced in all the right places, and she feels like she doesn’t have to pretend anymore. It arouses her, excites her, but most of all it frightens her. When Pierce saw Lil he became obsessed, but when the truth about who she really is comes to light, the situation becomes more complicated than he ever anticipated. Still, Pierce doesn’t care if Lil has connections with the Brothers of Menace. He will have her, even if that means going up against a fellow Brother for the right to claim her. With a threat still hanging over the Brothers, the conflict of Lil’s ties to the MC, and Pierce’s need to just take her and forget about everything else, he must decide what is really worth fighting for.